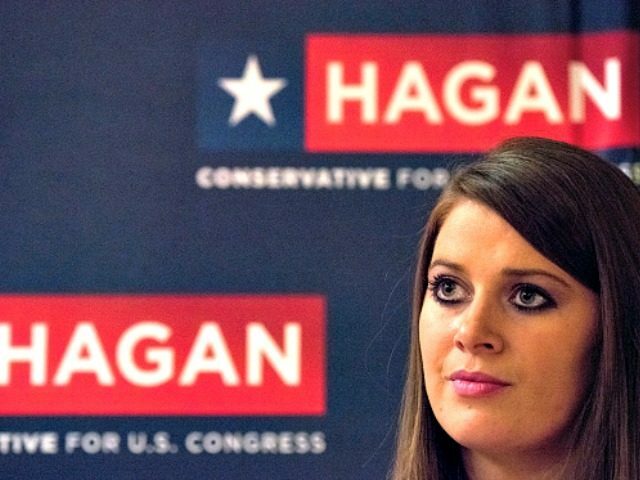 NORTH CANTON, Ohio — In Ohio’s 16th Congressional District, “America First” candidate Christina Hagan, 29-years-old, was outspent and defeated by the Republican establishment-backed Anthony Gonzalez. Gonzalez, who previously called “Never Trump” Sen. Ben Sasse (R-NE) his “man crush,” has beat out Hagan in the congressional race after the pro-amnesty Chamber of Commerce and corporate donors poured in hundreds of thousands of dollars against Hagan. Hagan trailed Gonzalez in the 16th District with only 12 points between the two. Hagan ran her campaign on the America First agenda of defending the unborn, less immigration, an end to job-killing free trade deals, and bringing U.S. troops home from foreign wars. In the midst of the campaign, Hagan swept into national attention as the darling of the America First movement, garnering small dollar donations from around the country in the process, from voters who wrote messages saying they are fed up with the Republican establishment. The Chamber of Commerce has long opposed Trump’s “America First” agenda on immigration and trade, supporting an amnesty for illegal aliens and continued mass legal immigration whereby the U.S. admits more than 1.5 million legal immigrants every year. Gonzalez received support and funding from Rep. Mike Turner (R-OH), who voted consistently in Congress since 2015 to import more cheap foreign workers to compete against Americans for blue-collar and white-collar U.S. jobs. Gonzalez was endorsed by Sen. Marco Rubio (R-FL) who famously authored the “Gang of Eight” amnesty bill that would have legalized the majority of the 12 million to 30 million illegal aliens living in the U.S. If Hagan had been elected, she would have likely beat out her Democrat opponent, making her the youngest congresswoman in history.